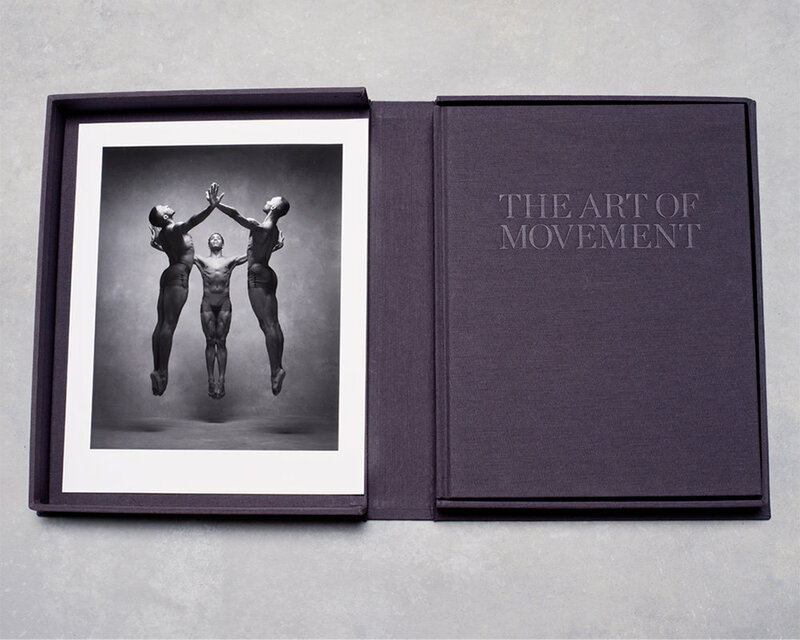 We are pleased to announce that we now have a Special Deluxe Limited Edition of "The Art of Movement". This edition will be limited to 220 copies, signed and numbered with an original print. This limited edition hardcover book is presented in a custom foil embossed cloth covered clamshell case. Encased in a cloth covered folio, one original 8.25" x 10.25" image on 10"x12.5" Hahnemule Archival paper completes this collector's set. Your choice will be from six images we have carefully selected from the book, the photograph can be kept in the book or removed and framed. Contact us at nycdanceproject@gmail.com for pricing and to specify your choice of print from list below. Prints are an edition of 50. Published by Black Dog & Leventhal in 2016, this first edition, full color book has received rave reviews and won the International Photography Award in 2016 for Best Book. Please allow 2-3 weeks for delivery. Additional shipping costs may apply outside of the United States.